The vacuum that doesn't lose suction. 36 Dyson Cinetic tips separate the microscopic dust that clogs other vacuums. No dirty filters to wash or replace dust separation in vacuums containing Dyson Cinetic science is so efficient that, unlike with other vacuums, there's no need to wash or replace a filter. And with no bags to buy, there are no hidden costs. Self-rights when toppled other vacuums fall down and stay down. 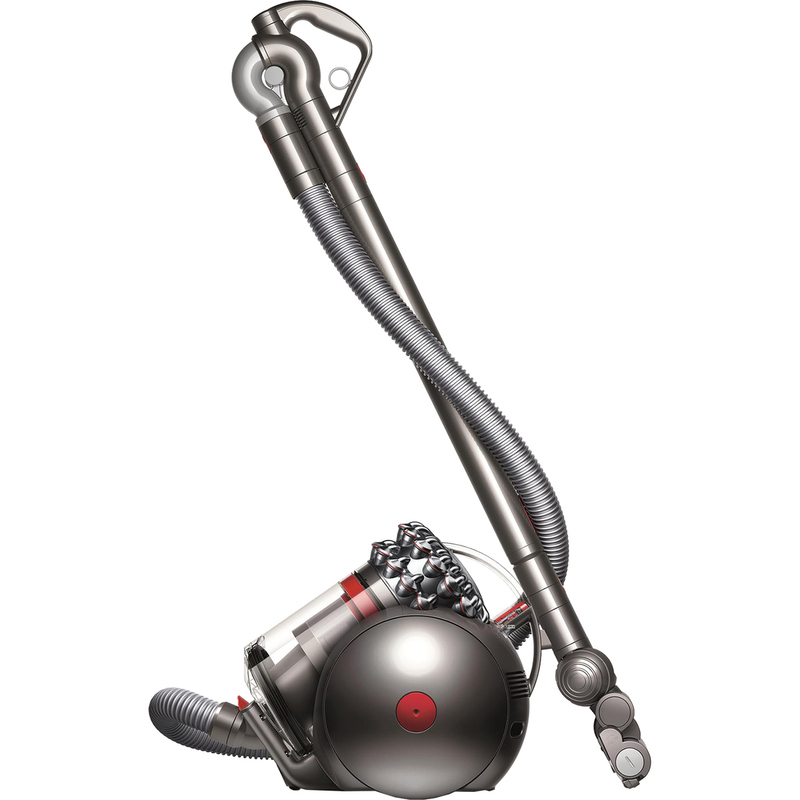 Only Dyson big ball canister vacuums pick themselves up. Hygienic dirt ejector drives out trapped dust and debris as you empty. No need to touch the dirt. Carbon fiber Turbine head carbon fiber filaments pick up fine dust. Stiff nylon bristles remove ground-in dirt. Ball technology core components are housed within the ball, allowing the vacuum to turn on the spot and follow you effortlessly around the home, without awkward moves.